After completing trials of different uses of UAVs, Interpine has been validating case studies and is now offering its new services to the forest industry. Working with our clients, we have set up systems that automate data capture and processing. After data collection and processing, Interpine can deliver accurate information depending on the client’s needs including: 3D models, volume calculations, high-resolution aerial imagery, digital surface models, contours as well as high-definition video footage. The models, shown in figure 3, enable us to quickly and accurately calculate volume and measure height. 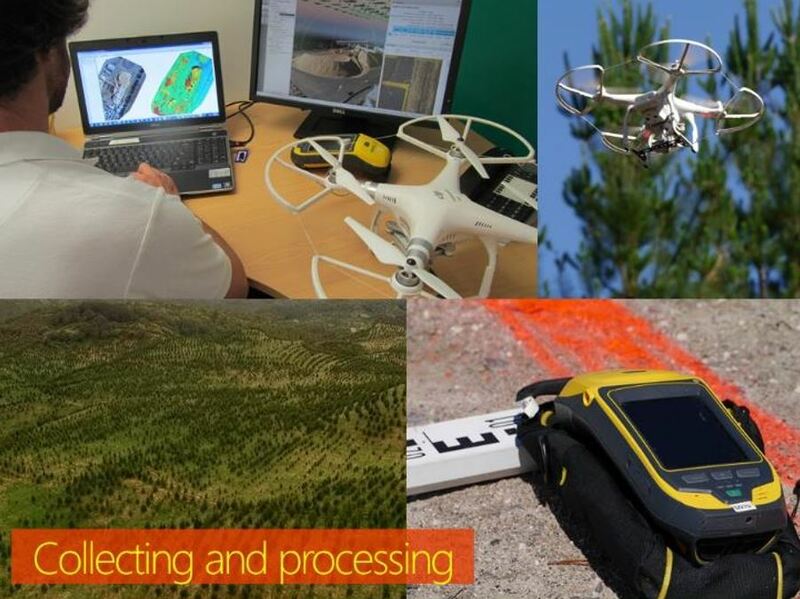 Interpine’s UAV services fully integrates with our existing experienced GIS and remote sensing team and field staff. 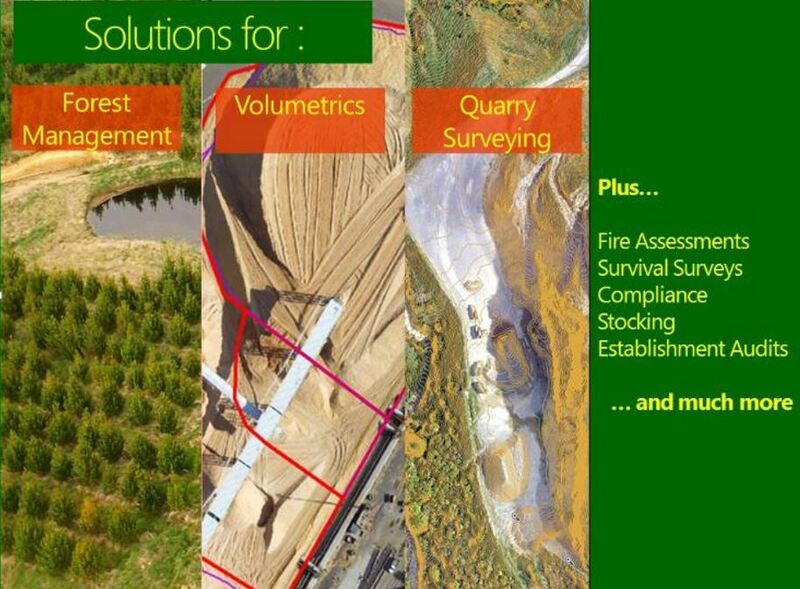 Figure 4 : Our range of services: chip pile assessment, post thinning quality control, harvesting audits, cutover assessments and land preparation QC, quarry assessments. 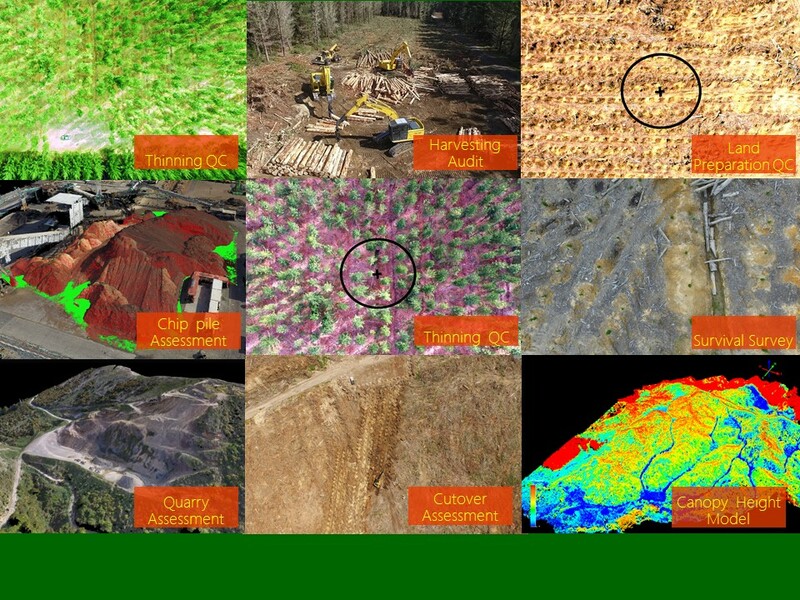 Figure 4 illustrates the range of applications that we are developing within our UAV department including: canopy height models (CHM) derived from the digital surface model and combined with a digital terrain model; quality control methods for forestry operations such as land preparation, cut-over assessments and silvicultural operations; 3D ortho-rectified models of quarries and/or chip piles and a range of volumetrics. UAV data collection is now part of the services Interpine offers.